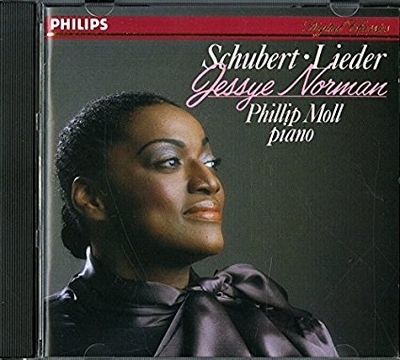 Jessye Norman's landmark recording of Schubert's "Der Zwerg"
I trace my obsession with the Gothic shocker "Der Zwerg" (The Dwarf) to a Schubert anthology by Jessye Norman, released on the Philips label in 1984, featuring Phillip Moll at the piano. It was one of the first three or four CD's I ever owned. Like Schubert's hair-raising setting of Goethe's "Erlkönig," "Der Zwerg" demands the skills of a quick-change artist. Apart from the narrator, "Erlkönig" fields a cast of three: an anxious father, his delirious son, and the eponymous fairy king whose wheedling sweet talk and subsequent threats scare the boy to death. "Der Zwerg" brings before us, think Game of Thrones, a lovely queen and her chic accessory, a pet dwarf. Alone, man and mistress are sailing on the sea (where to? ), when suddenly he explodes in jealousy against the king. He is going to kill her, he says, and she offers no resistance as he slips a scarlet silken cord around her throat. One dwarf short: Guerrieri's riveting musicological page-turner (if you can imagine such a thing). da da da DUM! That peerless Schubertian Graham Johnson points out that the rhythmic cell that drives the song from start to finish is the same one that pulses through the first movement of Beethoven's Fifth Symphony. This can hardly be coincidence. To this day, that fateful knock on the door—da da da DUM—lodges as unshakably in human consciousness as "To be or not to be." Schubert, it seems, was one of the first to channel its power for purposes of his own. 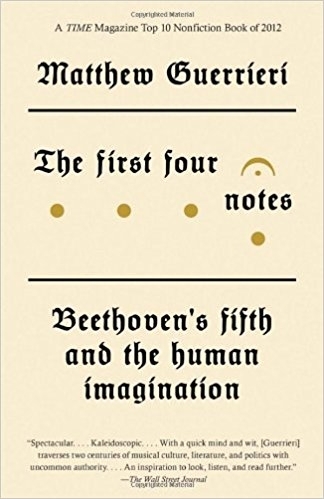 In the riveting musicological page-turner The First Four Notes: Beethoven's Fifth and the Human Imagination, the critic Matthew Guerrieri traces the echoes of the viral motif across continents, two-plus centuries, and cultures. "Der Zwerg," however, goes unmentioned. When Norman recorded "Der Zwerg," you rarely encountered the song. Today, it has considerable currency—thanks at least in part, I like to think, to her Circean interpretation. The sacrificial acquiescence of the victim, the seismic Kabuki ferocity of the killer... in Norman's reading, these qualities took on the clarity of a nightmare seen with eyes wide open. Yet as narrator, she spun the yarn with sphinxlike detachment, beyond cruelty, beyond pity. And let's not forget the sheer splendor of her voice, now floating with the feather lightness of cirrus clouds, now settling into the depths with a ruby glow.